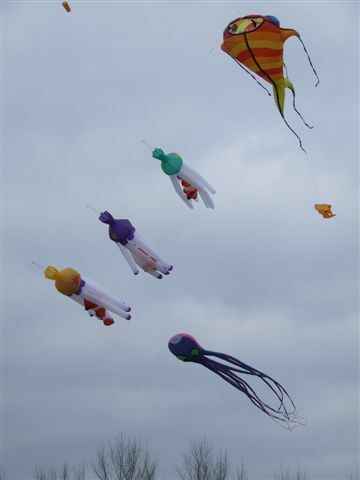 Flown kites in China, on Tiananmen Square and on the Chinese Wall in 1992. 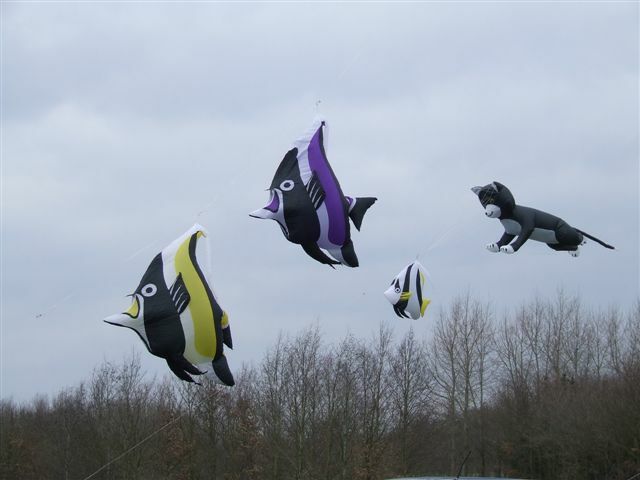 And, don’t forget, a large amount of fish and sea animals in a big aquarium including a diver. 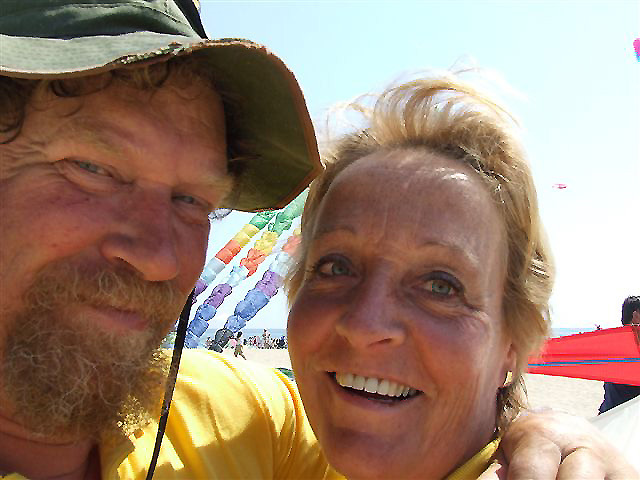 Apart fro that my wife Annie owns many bears and flying butterflies, we can build a small festival on our own, we have enough material. 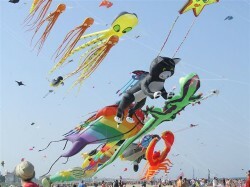 Flown kites in China, on Tiananmen Square and on the Chinese Wall in 1992. 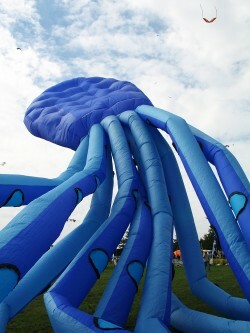 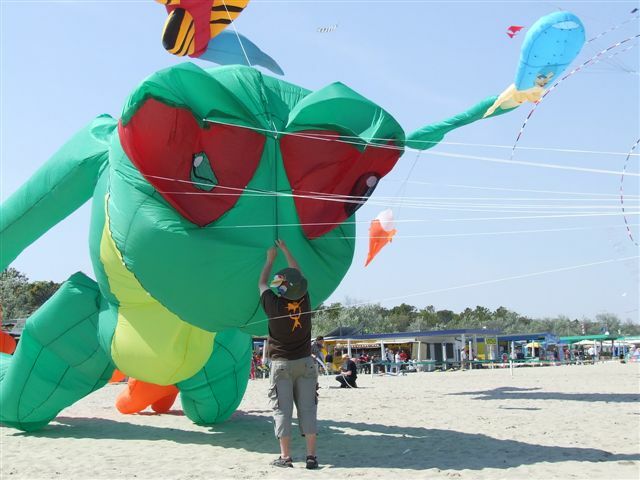 And the many kite festivals in the Netherlands and abroad, and a workshop for 90 children in Cervia (Italy). 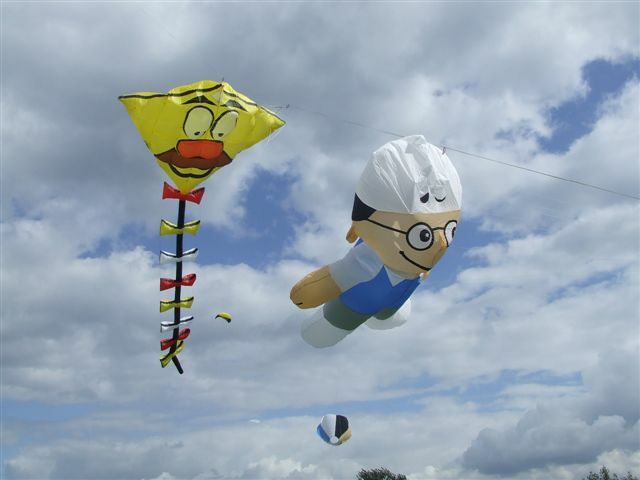 Kite flying is my passion, on festivals I always make sure that I am busy with promoting my hobby the entire time. 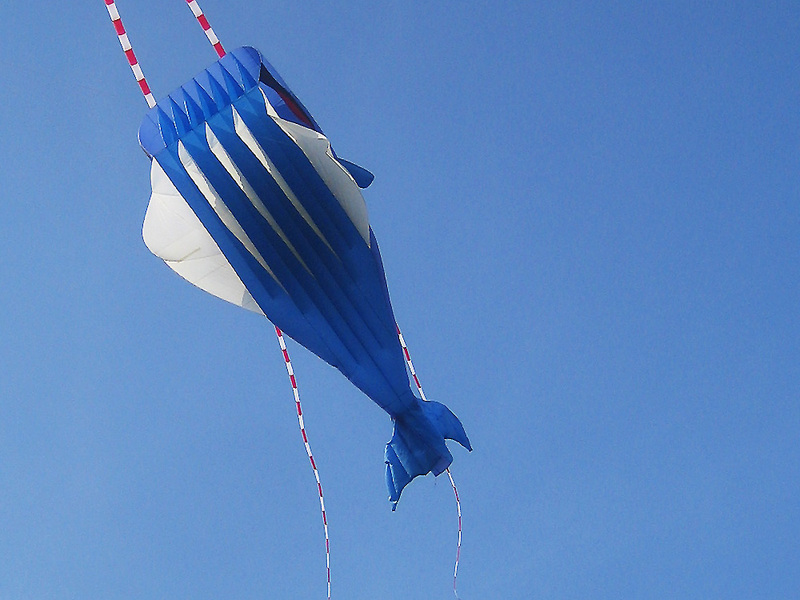 I stand for what I say, and there is no kite I cannot tame, they don’t exist small or big enough. 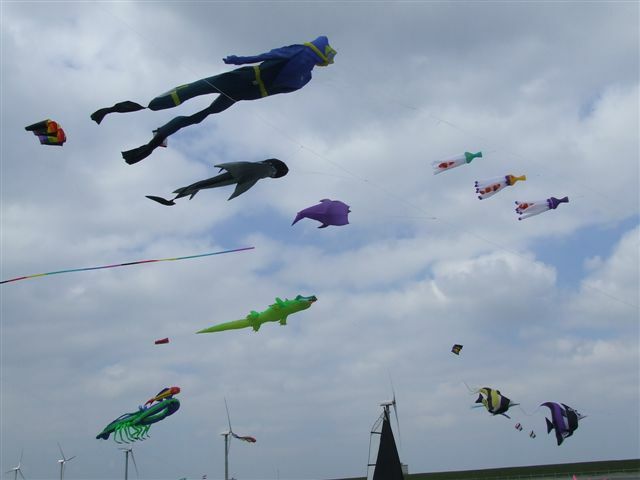 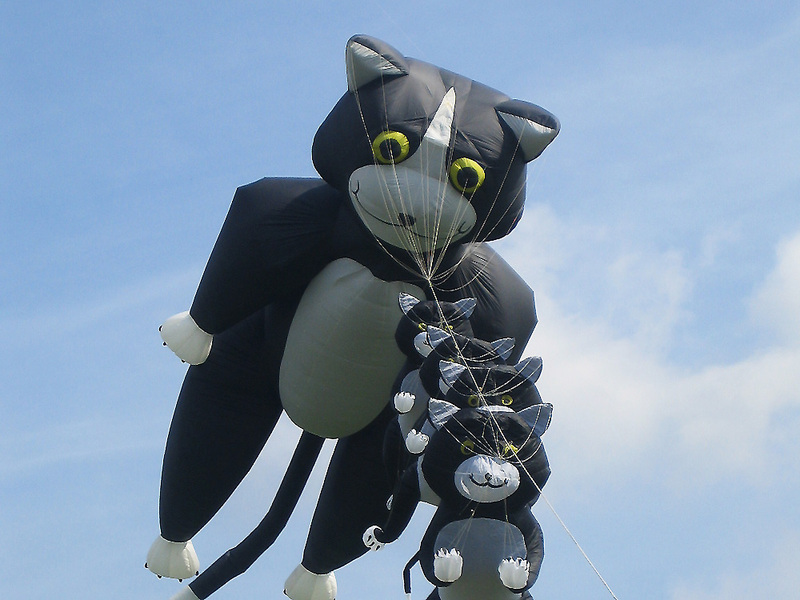 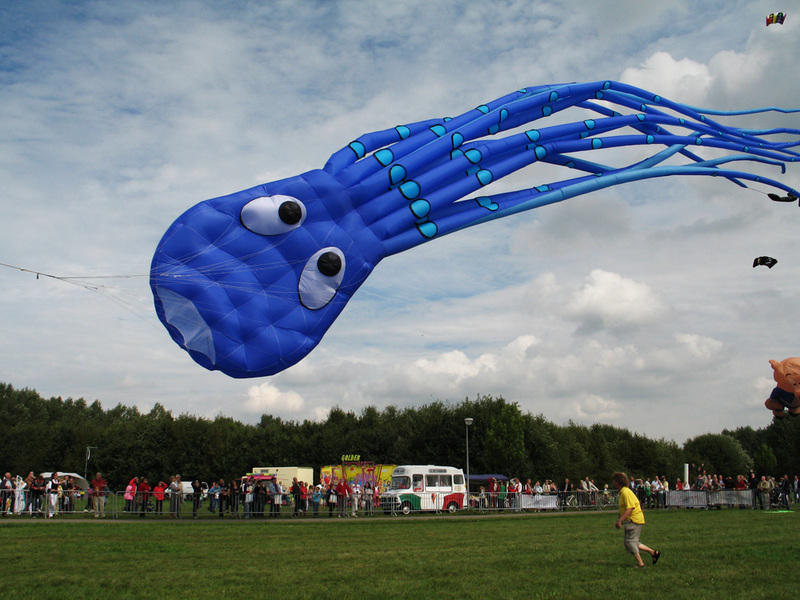 Hopefully, we will spread our passion for a little while still, because our kites haven’t seen it all yet, and there are still so many beautiful models I want to build, and that will take a bit of time still. 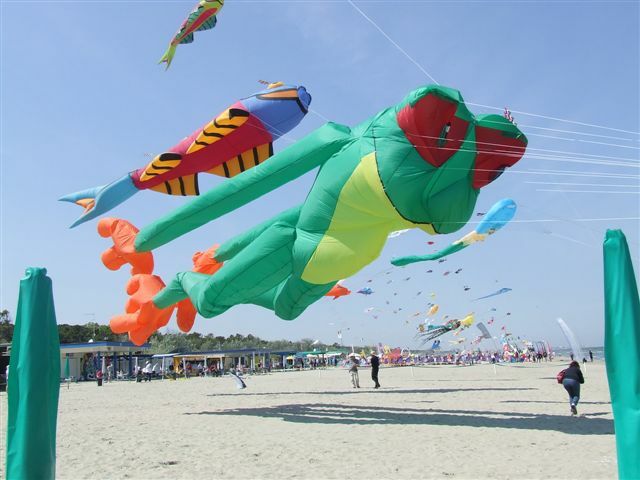 And there are still so many people who haven’t been infected with the Virus, I have enough fabric left for them to be infected, because kite flying we do together and together we go kite flying, so come and participate. Please see www.vliegernieuws.nl for lots of useful information.